For test results that are accurate, reliable, and able to meet and withstand judicial or scientific challenge, it is essential to adhere to specific standards and guidelines for sample collection, labeling, submission, chain of custody handling and shipment. In this section, we will help guide you through the process. Following proper procedures will help assure the integrity of the specimen, its safe and expedient delivery to the laboratory, and accurate processing once in the laboratory. Each test has specific requirements for specimen collection. You can find the appropriate collection instructions above. 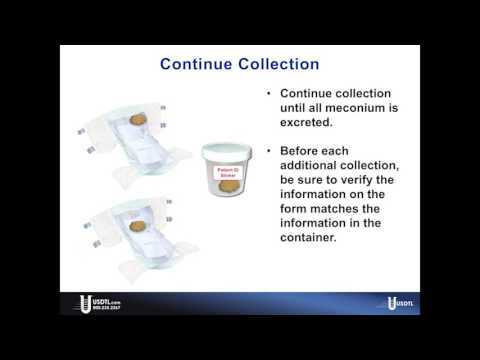 • Be sure to use the correct container for specimen collection. • Ensure proper and accurate labeling of specimen to provide all pertinent information. • Be sure to use separate Custody and Control Forms for each sample collection. • Use the tamper-evident Custody and Control form barcode sticker. • Tighten specimen container lids to prevent leakage and/or contamination of specimen. • Have the donor initial the tamper-evident Custody and Control form barcode sticker. • Make sure the donor identification information matches on both the specimen and the Custody and Control form. • Indicate the required test by marking the appropriate box. • Ensure the collector signature and date are on the Custody and Control form. • Enclose the Custody and Control form with the specimen.